There have been some major changes which have come into effect on 1 April 2019, and thus, various businesses in Singapore should act accordingly and update their HR policies and processes. 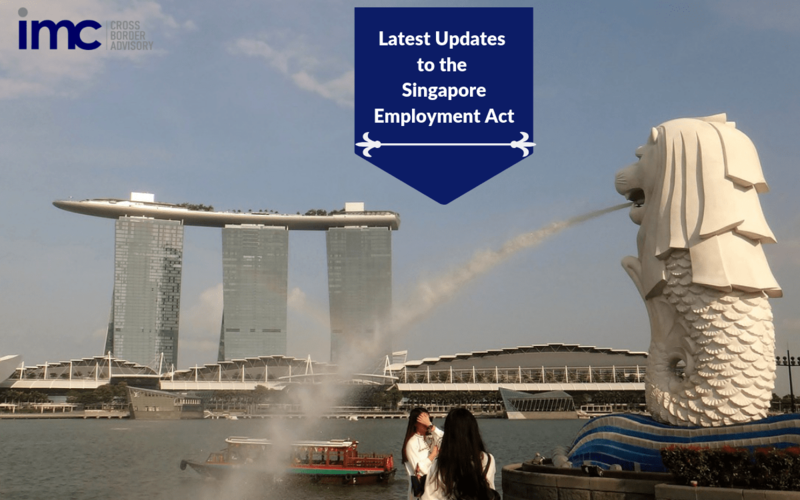 Singapore’s Ministry of Manpower (MOM) announced some key changes to the Employment Act (EA) last in November 2018. There are four main areas that are impacted by these changes, which have come into effect from 1 April 2019. All the professionals, managers, executives and technicians (PMETs) will account for more than half of Singapore’s workforce, which is continuing to expand. The EA changes intend to keep the systems and procedures relevant and up-to-date as per the workforce trends. Till now, the main provisions of the EA did not cover managers and executives (M&Es). However, with PMETs accounting for over half of the workforce now, which is forecasted to go up to two-thirds by 2030, it was obvious that the EA was not able to keep up with the changes in the workforce demographic. Thus, the key provisions are being stretched to include M&Es. For facilitating this, the earlier S$4,500 per month salary cap has been removed starting 1 April, getting additional 430,000 M&Es within the protection area of the key provisions of the EA. This comprises a minimum of seven to 14 days of annual leave, plus paid public holidays, sick leave, on-time salary pay-outs and protection against any wrongful dismissal. However, public servants, seafarers and domestic staff will not be included under the EA main provisions because they are covered under separate laws owing to the characteristically diverse pattern and nature of work. EA’s Part IV is being amended to profit from an additional 100,000 workers by enhancing the monthly salary cap from S$2,500 to S$2,600, and by further enhancing the monthly basic salary cap which is used to calculate the per hour overtime rate from S$2,250 to S$2,600. This is basically a recognition of the rise in the median wage level prevalent in Singapore, which will mainly get the employees whose salaries have gone up beyond the cap, back under this EA provision. This amendment applies only to non-workmen (white-collar employees who are not in M&E positions). The earlier monthly salary cap applicable for workmen (blue-collar employees who are involved in manual labour) still remains at S$4,500. For centralising all the employment dispute resolution, the settlement of wrongful dismissal claims would be now moved from MOM to the ECT or Employment Claims Tribunal. In addition, the length of service needed for M&Es to be eligible for protection from any wrongful dismissal will be reduced from the current 12 months to half, which is six months. Very shortly, the new tripartite guidelines would be issued by MOM to explain what could be defined as wrongful dismissal. There will be two key amendments which will enhance the flexibility that firms have in operating their businesses. First, there would be enhanced flexibility in terms of compensating employees who work during public holidays. All the employees who are earning up to S$4,500 every month and the non-workmen who are getting up to S$2,600 every month could be remunerated either by compensation of an extra day’s salary or by getting one extra day off. In case of M&Es and for workmen earning over the cap of S$4,500 and non-workmen earning more than S$2,600, the business could offer the salary of extra day, a one-day off or time off which is less than a full day. As of now, firms can only make any salary deductions for reasons like absence from work or causing a damage to goods delegated to the employee or for some loss. But from 1 April 2019, this has been changed and companies are now permitted to make some other deductions if the employee agrees to the deduction in writing and the owner or employer permits such deductions to be annulled at any juncture by the employee without having to apply any penalties. These EA amendments need immediate action by businesses and they should update their HR policies, processes and practices. All the employee handbooks, any employment agreements and other organization policies would have to be reviewed and updated, and then published.